Simply a work of Art. 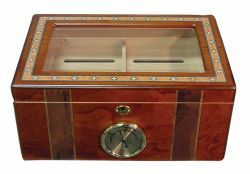 A furniture style Cigar Tower modeled after our most popular selling Commercial Cigar Tower Humidor. Holds up to 3000 Cigars. 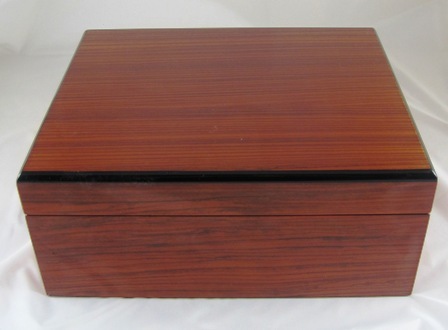 Decorative Raised Wood Side Panels. 1 Glass Hygrometer with Brass Frame. 4 Shelves (3 adjustable) for Box Storage. 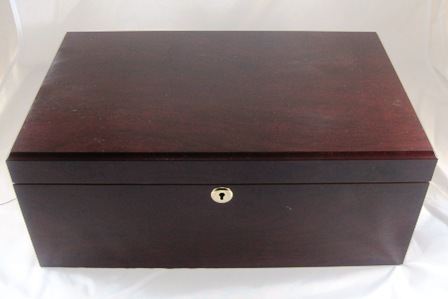 8 Drawers for Storing Single Cigars. 4 Removable Trays with Dividers. Tarnished Brass Plated Lock & Key, Knob and Hidden Piano Hinges. Antique Distressed French Walnut Finish. Dimensions (Outside): 24″W x 16 1/2″D x 72″H.